9-1-07 Please see previous post. The teens were really creative and sincere in showing their appreciation to soldiers. This program resonated with those who have loved ones or friends in the armed services. It was a perfect commemoration to the sacrifice of soldiers and civilians alike on the eve of the 6th Anniversary of the September 11th Terrorist attacks. 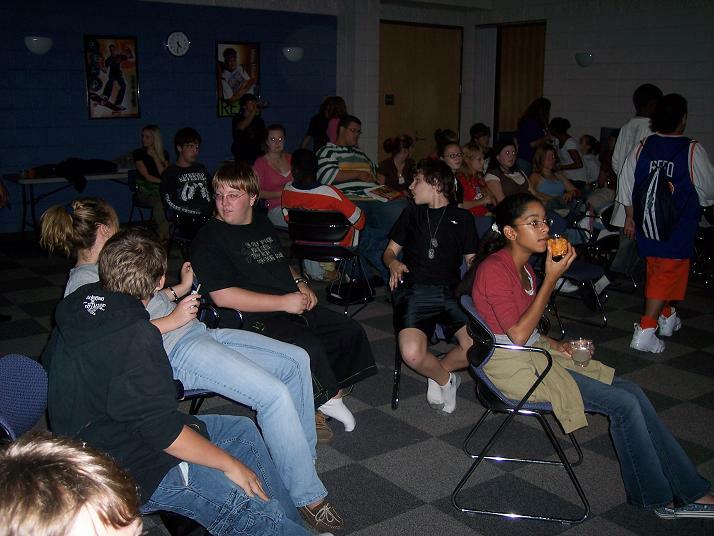 Teens enjoyed watching Night at the Museum, a movie starring Ben Stiller and Robin Williams. 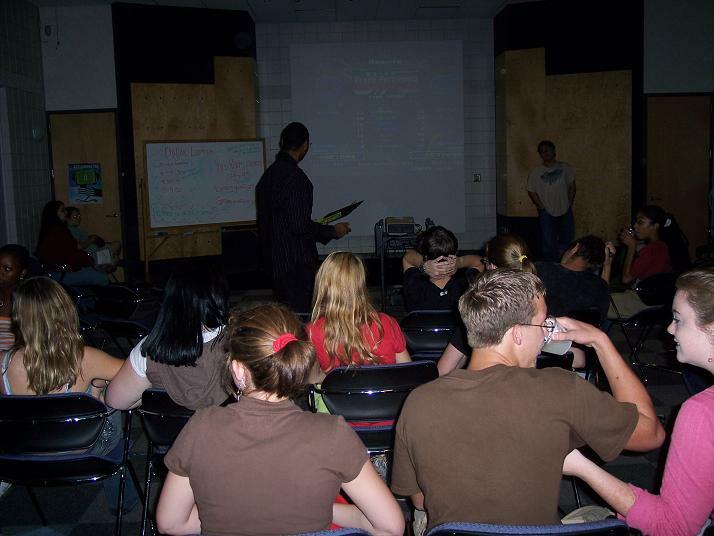 September saw a huge increase in audience attendance and participation. Teens were thankful to the library for hosting this event. 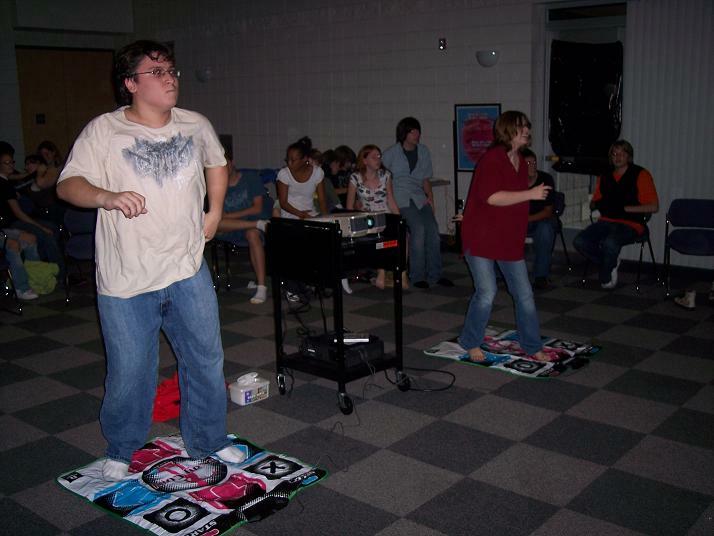 In response to such enthusiasm, starting in ’08, the East Regional branch will be hosting a semester long Dance Dance Revolution Tournament. Contact the branch for more information, (910) 485-2955. Nearly 20 teens hung out at the anime club this month, some commenting that they would like the library to offer this program weekly. Episodes of Solty Rei were shown. September was a lot of fun! 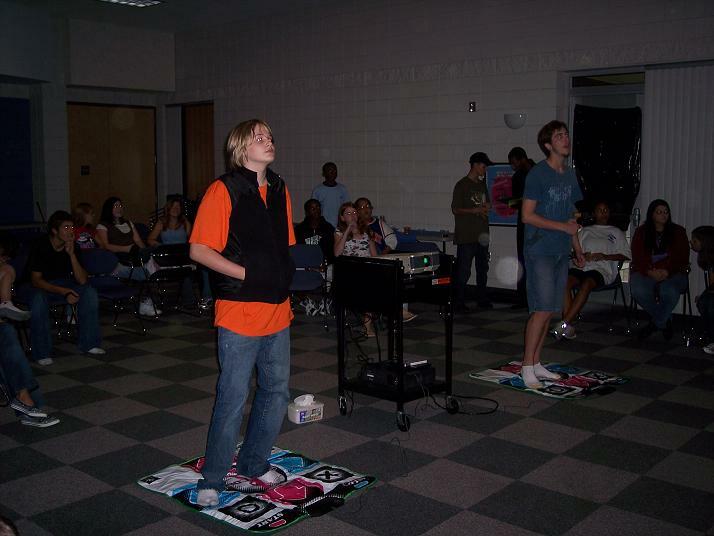 Thanks to all the teens that came to our programs. For more fun things to do @ your library, please check the calendar of events. I give you photographic evidence that otaku (“enthusiasts” or “fans”) of all ages, especially TEENS, were willing to spend an ENTIRE SATURDAY at a public library…and on a holiday weekend, no less. Just for fun, did you know that the Goomba came to Librari-Con? Thanks to Miguel and The Anime Arsenal for permission to share this hilarious slideshow! I must ask forgiveness for not posting photos earlier…everything I put off while planning for Librari-Con came down on me like a ton of bricks! Write thank-you notes! …again, so that the wonderful companies and organizations that participated this year might be willing to play in the future. I got a surprise after completing this task. 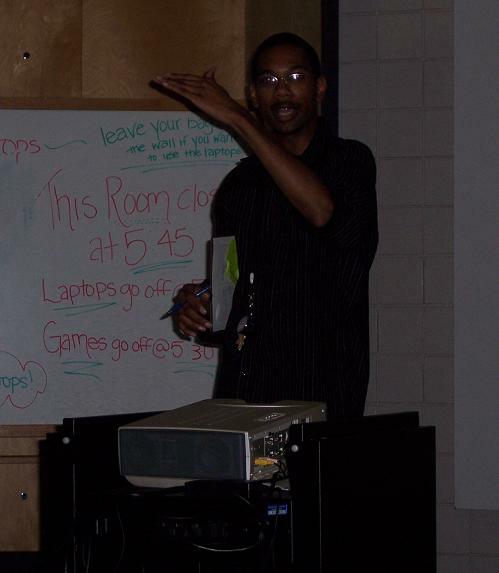 Give that presentation! To be fair, I knew this one was coming. I had to share the wonderful statistics and success stories from this year’s Teen Summer Reading Club with the Library’s Board of Trustees. Plan more programs! What! Now that teens know how much fun they can have at the library we have to plan more things for them to do?!! Write book reviews! Oh shoot, I’ve got to READ the books, first…I’ll post ’em as soon as I can. Some great titles just arrived (good thing I did the first item on this list ‘o rants). Ya know…for all that I’m being snarky about it…I had a great time. Many visitors, volunteers, and most of our special guests told me that they had fun, too. My parents, who happened to be visiting that weekend, had a blast. I’m not sure they even knew about anime and manga beforehand, but they sure do now! Librari-Con is hopping with otaku and friends as we speak. Large crowds, amazing and intricate costumes, tons of drawing and gaming…it’s enough to make a grown librarian a little misty around the eyes. Our guests are having a good time, too. Will Hays and Robert “Dr. Gonzo” Wicker, voice actors from the anime show and movie You’re Under Arrest are having their question and answer session with a crowd of fans. The Carolina 501st Legion, an international STAR WARS costuming enthusiasts organization and charitable organization helped me present a cosplay workshop earlier in the day. The chibi’s (children) have been coloring their little hearts out and even made some really neat origami fish. The viewing room is a constant draw and Artist’s Alley is packed. Nick Capiot has his amazing art on display, alongside the 501st’s table, Trimekka Studios, Cosmos Studios, and several last minute additons from the local art scene. The video gamers are finishing up, and we’re preparing for the Cosplay Runway! …and don’t get me started on the door prizes! Top Cow Productions, Inc. and Perfect Frames Gallery made some very generous donations and our visitors have been really excited to win a bags of stuffed with various posters, high-grade figurines, card game packs, and comics. Most of all…everyone’s having fun. Making friends, showing off drawings and costumes, playing improv games on the front lawn…not too bad for a Saturday spent at the public library, if I do say so. Thanks for coming to Librari-Con! It’s been a great day…and we still have a little bit to go!